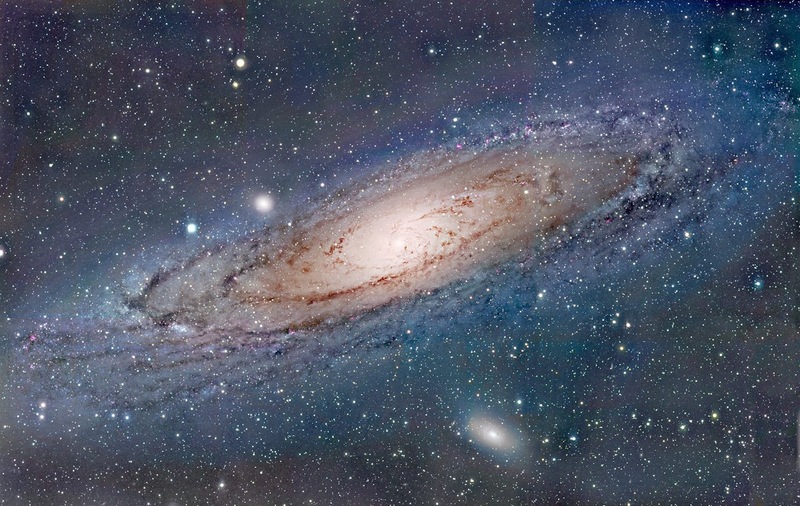 Our home galaxy, the Milky Way, is estimated to contain 100-400 billion stars, with 10-20% of these being like our sun. In March of 2009, NASA launched the Kepler Observatory to search the Milky Way for habitable planets. Data from this space telescope are now being analyzed and reveal a wealth of fascinating information. One study found that 22% of sun-like stars are orbited by rocky planets in the 'Goldilocks Zone' which allows liquid water to exist at its surface and therefore be habitable for life. Now, a new study using computer modeling suggests that the 'Goldilocks Zone' may be 10 times wider than originally conceived. The idea that intelligent extraterrestrial life exists is actually pretty common, and certainly not new. Surveys in the US and UK put the number of believers in intelligent extraterrestrial life as being between 60 and 70% of the population. ** SETI (the Search for Extraterrestrial Intelligence) has been patiently listening for radio waves from our intergalactic neighbors for many years using high-tech telescopes. Despite of its lack of success, SETI isn't giving up. I'm therefore seriously thinking of forwarding the decisive 'white paper' on this subject so they can rest a little easier. I recently stumbled onto it while my plane was stuck on the tarmac. Out there, somewhere, this scientist believes, is a wise old civilization that has survived many crises and is trying to warn the callow earth against the mistakes of its own youth. What an astute observation! Yet, for thousands of years the Master Creator from his world has been trying to get his earth people to listen hard for advice and wisdom. Either they haven’t tuned in or they have been dull of sight and hearing. There have been many messages from other worlds. Messages from beyond have come in great numbers through the ages, faithfully interpreted by the Jeremiahs, the Ezekiels, and the Daniels; by the Nephis, and the Moronis; by the Peters, and the Pauls, and in modern times by the Joseph Smiths. Better than radioed or television communications have come personal messages without space capsule, plane or rocket ship. Yet there is such a thing as space communication. Man has spoken to God and received answers from him. Such messages have been coming for the benefit and blessing of the inhabitants of the earth for upward of 6,000 years. Enoch said the number of particles in millions earths like ours wouldn't be the beginning of the Lord's creations. He marveled "yet thou art there . . . kind and merciful forever (Moses 7:30)." The search for extraterrestrial life will continue and one day be rewarded with definitive evidence that the universe is filled with intelligent life. But while astronomers look and listen for their proofs, we need not despair as earth's civilizations race headlong for crisis. For now we must walk by faith, and avail ourselves of the revealed advice of an older, wiser intelligence that has always been out there: kind and merciful forever. 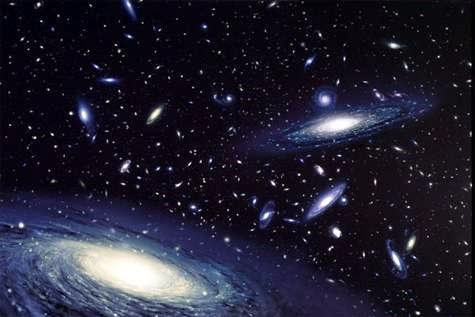 * We only see approximately 5% of the universe because we can't detect 'dark matter' or 'dark energy' with available technology. See R. Val Johnson's Ensign article or Grant Athay's BYU Studies paper for additional reading. ** In the UK, more people believe in extraterrestrial life than believe in God! Reid is an endocrinologist from Henderson, Nevada. Reid is blessed with a wonderful wife and three great kids. He counts it miraculous that his eclectic interests (family, travel, museums, history, Imperial Roman coinage of the Flavian Dynasty, fly fishing and cycling) are actually shared by at least one member of his family. Reid enjoys blogging on every-day occurrences as seen through his Mormon sunglasses. Check out Reid's previous guest posts.